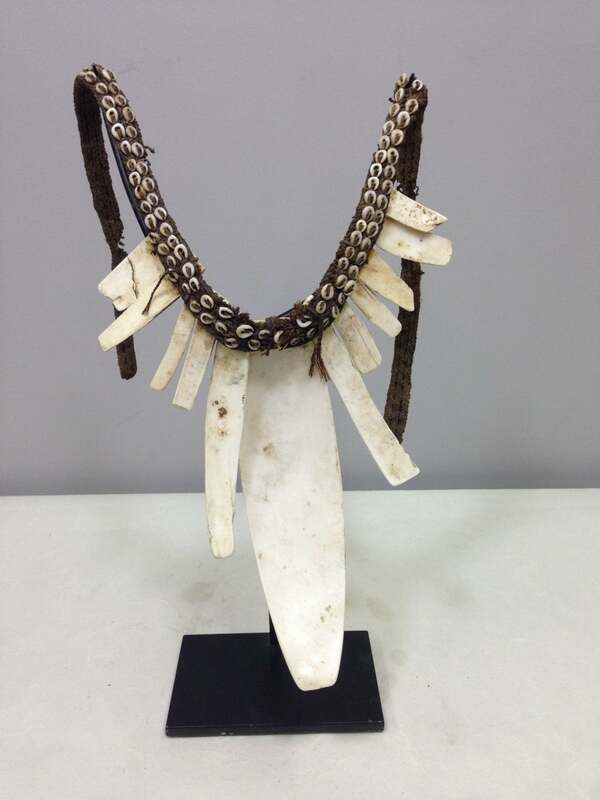 This is a fabulous old traditional tribal necklace decorated with twelve cream curved oval Bailer Shell Pendants all attached to woven fiber collar covered in small Cowrie Shells, that comes from the Southern Highlands of Papua New Guinea. 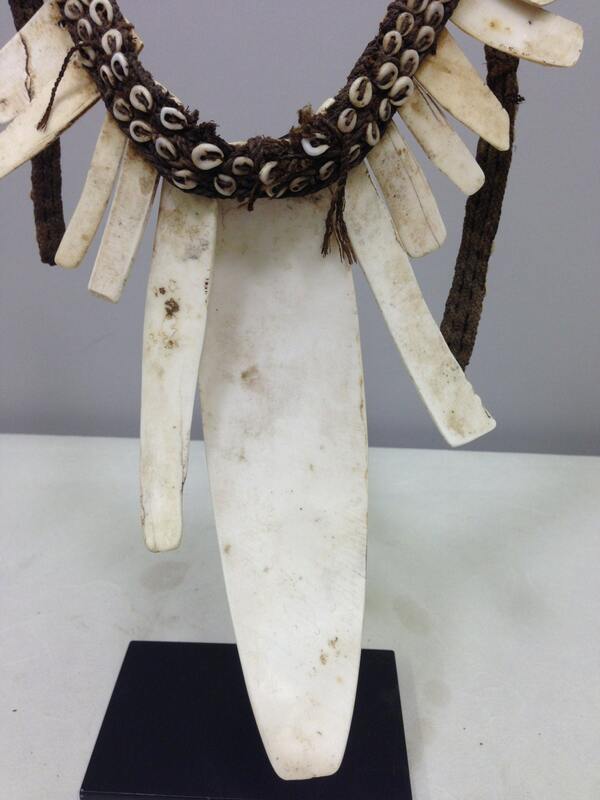 These ornamental necklaces were worn by men and young women on special occasions and ceremonial dances. As a form of currency, they were an important part of the bride price in marriages. 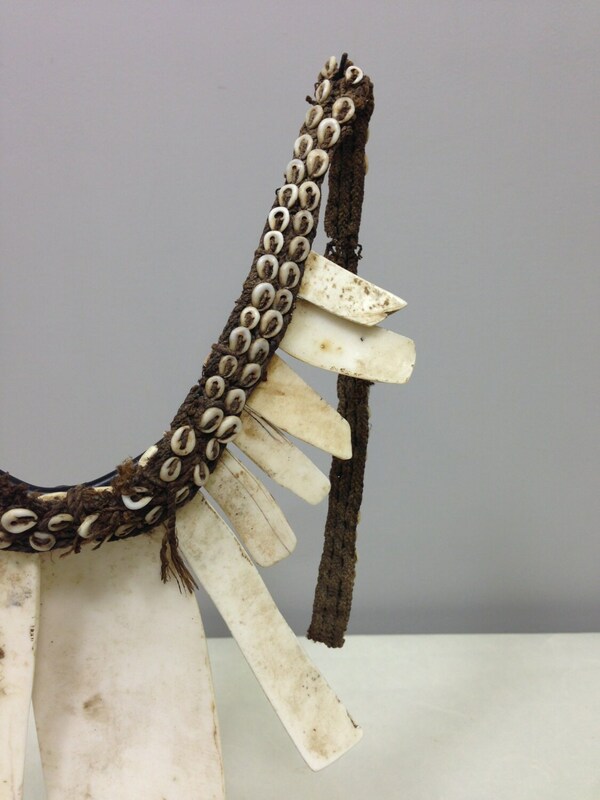 These Shell necklaces were also worn during festivals. 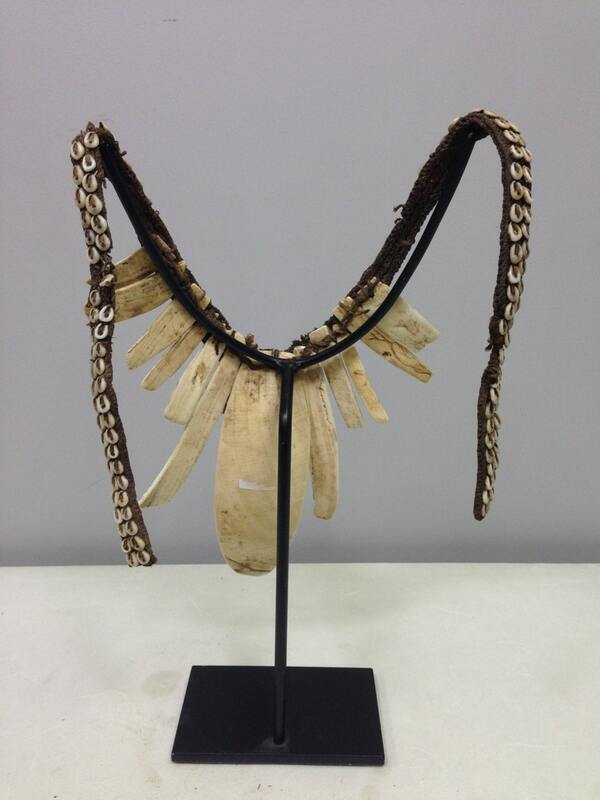 These decorative necklaces were only worn by the “Big Men”, the initiated men and the Shamans of Papua New Guinea, and only during special ceremonies and rites, either as a pectoral ornament. 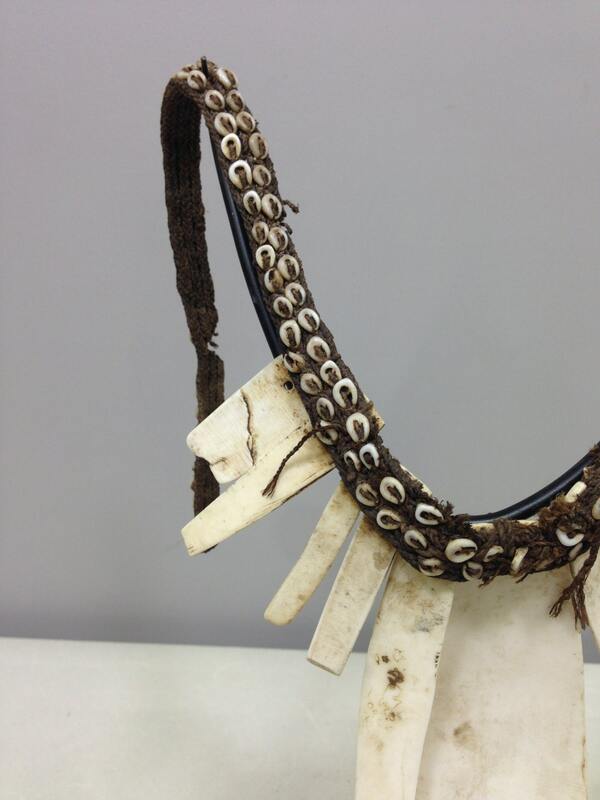 On each side of the necklace is woven bark fiber adorned with small Cowrie shells. These shells had such value that they were used as payment money as well as the as the bride price or payments after wars and feuds. This is a lovely and unique necklace with a history that would be a wonderful addition to your collection. Shows age, has a few cracks, nice patina, but in good condition.